EDGAR Online's new configurable API is advancing how financial data is consumed, delivered and analyzed and is transforming data points into constructive, valuable information. 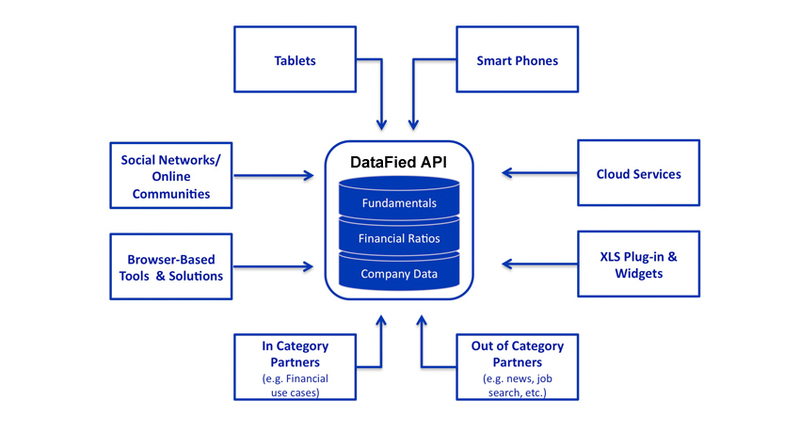 Analytics, increasingly delivered through apps and mobile devices continues to be the source for innovation in the financial technology and data industries today and the DataFi API is leading the way. Innovative companies and developers alike are leveraging EDGAR Online's newest API to transform lengthy financial disclosure documents into an analytics data platform that allows for quick evaluation of relevant data points. Executives from top Fortune 500 firms to small businesses are demanding more data-driven, automated methods of collecting, reviewing and acting on information, using data and analytics to govern their firms, understand their competition, reduce risk and remain compliant with changing regulations. For pricing and additional information, call 212.341.7678 or click here.